Sigma Performance is a specialist Racing parts supplier. Our parts service provides slipper clutches for all makes of motorcycle with most bikes in the 600 Super-sports and Hyper-sports categories being looked after. Since we first fitted a slipper clutch to our Ducati in 1998 our slipper clutches have won British championship races, British Supersport championships, TT and NW200 races and many more. The range now has in excess of 50 different fittings suitable for nearly 70 different bikes. In the past we have serviced and built many Ducati's. As an information resource to the Ducati community we have maintained our web pages with their thought-provoking information on many aspects of Ducati ownership, ranging from racing and trackdays to normal road use. 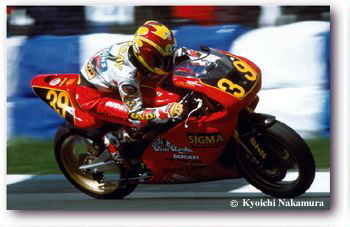 Sigma was formed in the early 1990's by three riders racing single cylinder bikes in the British championships looking for sponsorship. 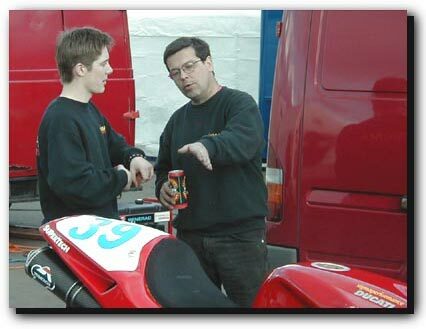 Over the ensuing 20 years we have raced our own bikes, organised and run the European Supermono Cup at World Superbike and entered our own Ducati based teams in European Supermono, British Sport Production, British Supersport and the British and World Endurance championships. As our technical and race preparation skills grew we serviced, tuned and 'built' many Ducati's for private owners. Early on we realised that racing Ducati's well was much easier for the rider with some careful modifications; custom made slipper clutches were amongst the first parts made. Sigma Performance now specialises in the slipper clutch market providing many different designs and technical options for over 50 different bikes. From simple Ducati road and track day fittings to clutches that regularly get podiums in World Supersport. Neil Spalding of Sigma also attends most MotoGP races as one of the top technical journalists in motorcycling.